One of the latest editions to our showroom. The Sealy electric ottoman has been one of our most popular sellers online, it offers all the benefits of additional storage in the bedroom but without the effort involved in manually lifting and lowering the ottoman lid. The Electric ottoman is available in a choice of sizes and fabric colours. Matching headboards are also available. Please watch the video and see how impressive this bed is, then come into Terrys Bed Centre and try it for yourself. Sealy is the biggest bed brand in the world and has been steadily growing for over 100 years. 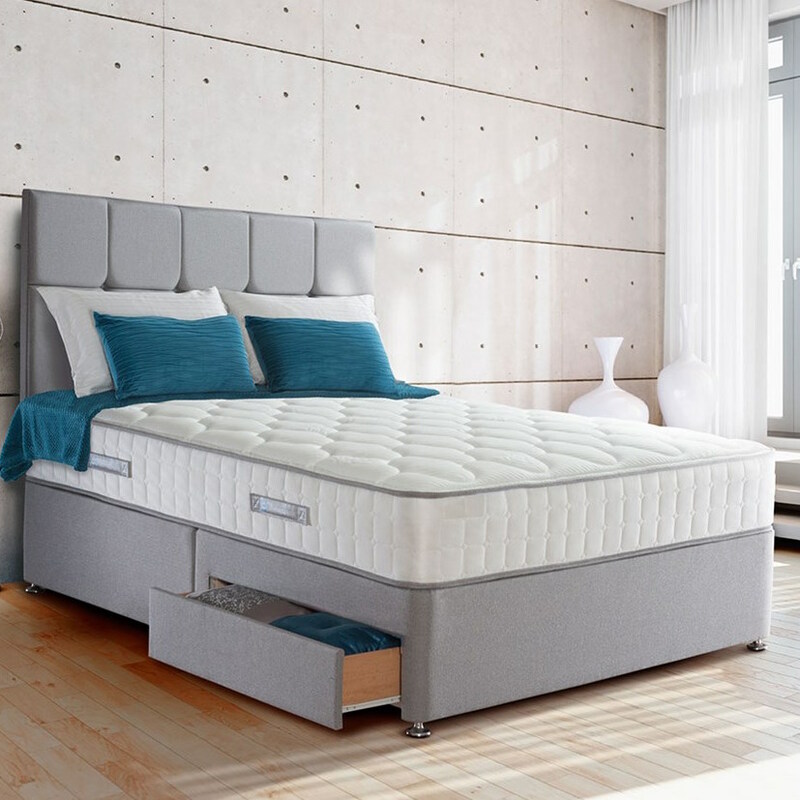 We are pleased to say that here at Terrys Bed Centre we can supply any of the Sealy beds, mattresses and headboards. Sealy can trace their origins back to the late nineteenth century and the original cotton-filled mattress produced by Daniel Haynes in the town of Sealy, Texas. In 2013 Sealy Inc merged with Tempur in the USA to create a company that operates in over 50 countries worldwide. Their beds and mattresses can be found on every continent; everywhere from Australia, Brazil, Canada, Japan, and South Korea to here in the UK where we have operated for the last forty years. 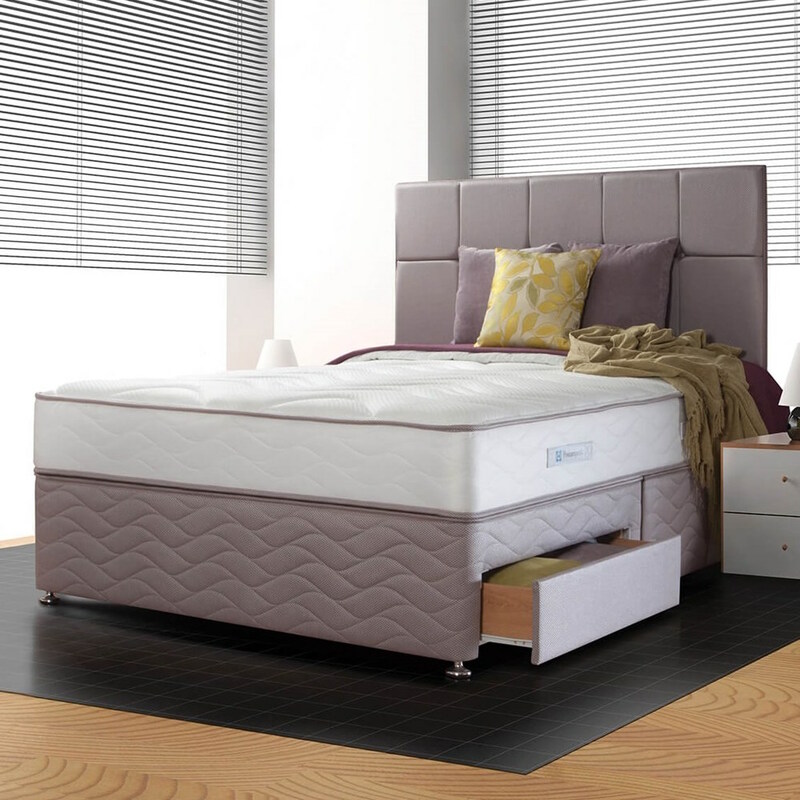 Sealy Millionaire Ortho, Sealy's best selling bed. Sealy Napoli pocket divan with 1200 springs and a latex comfort layer. Sealy Memory Support with a memory foam comfort layer.